A local artisan in Vladimir makes lace by hand in the traditional manner to be used in clothing and home decor. 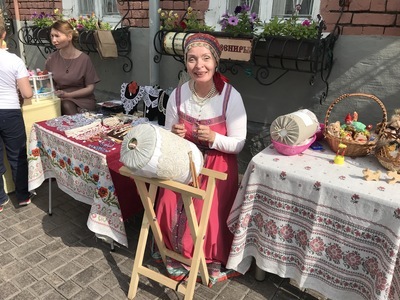 Howard, Wendy S. EdD, "Local Artisan Creating Lace in Vladimir Oblast (Suzdal)" (2018). Fulbright Repository: Russia 2018 Images. 2.